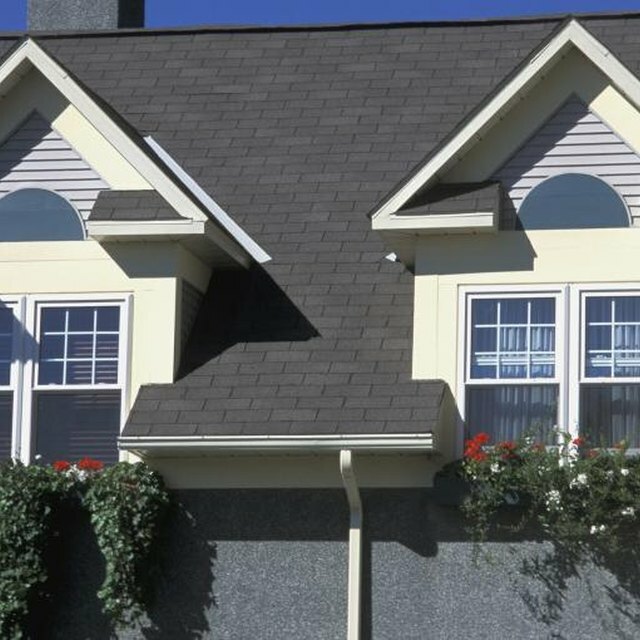 Keeping the outside of any home well maintained and looking smart can seem like a never-ending job. Exterior paint work is constantly exposed to wind, rain, snow, extreme cold and baking sunlight. The rays of the sun have a major impact on an exterior paint job, causing color fade, chalking and bubbles and blisters. The sun's rays can damage exterior paint work. Even the brightest and most vivid exterior paint can fade in color over time. Ultraviolet light from the sun's rays acts as a bleaching agent on the paint work and gradually saps away the original color of the paint or stain. The effect usually proceeds so slowly that it may be imperceptible until you come to patch the paint job and discover the contrast in its color to the original. Exterior stain or paint that is exposed to direct sunlight can dry out over time. Ultraviolet radiation from the sun causes some chemicals in the top coat of the stain or paint to atomize, leaving a dusty residue over the surface. This problem is known as chalking and you can check for it by running your fingers along the paint finish. If a dusty film of paint comes off on your fingers, the paint job is chalked. Paint exposed to direct sunlight becomes extremely hot, particularly dark-colored paints that absorb more of the radiating heat. This can cause bubbles and blisters to appear in the surface of the paint. After a while, the blister will burst and rain and wind will remove the surface, leaving an ugly bare patch on the exterior paint work. Paint technology is constantly advancing and many modern paints include anti-UV agents to prevent color fade and chalking. Look for paints labeled as sunproof or weatherproof. Acyrlic-based paints tend to give a longer-lasting finish than water-based exterior paints. To prevent bubbling and blisters, avoid using black or other dark-colored paints on areas exposed to direct sunlight. For all exterior paintwork, thorough surface preparation and the use of a primer-sealer on woodwork and masonry will help protect the paint finish from the ravages of the sun's rays. Why Does White Oil-Based Paint Turn Yellowish?